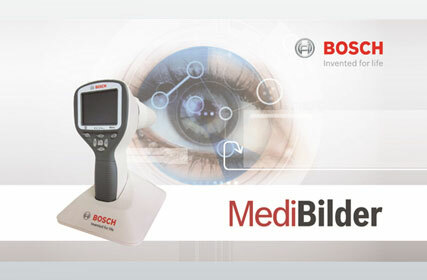 Bosch Eyecare Solutions brings to you its technology packed hand-held fundus camera which enables practitioners to conduct both mydraitic and non-mydriatic fundus examinations and capture high-quality retinal images. 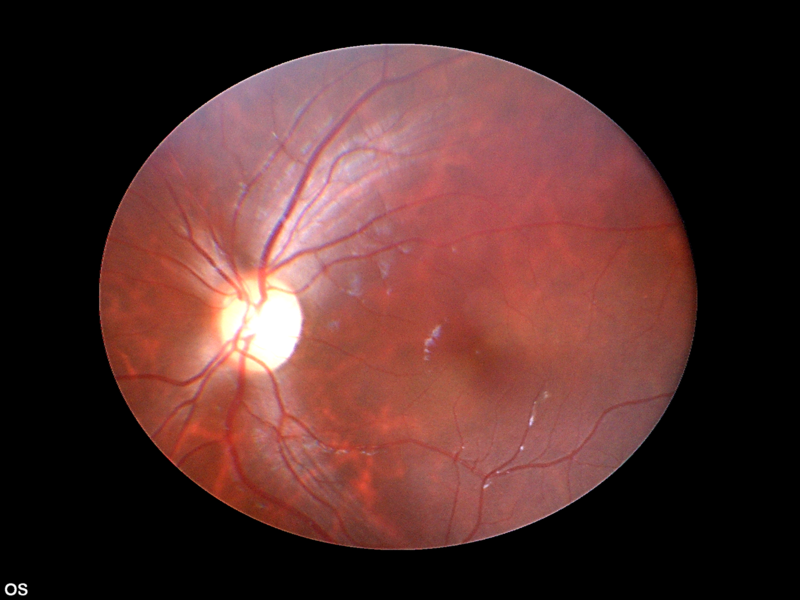 With a 40 degree wide Field of View(FOV) and a 5 megapixel CMOS sensor, the digital image and video capture of the eye fundus can also be done at ease. The modular, portable and ergonomic design of the device helps in taking it to the field in delivering last-mile care. 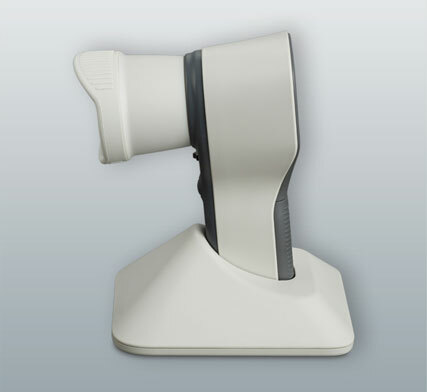 In a clinical set-up, it can be mounted on a slit lamp holder with special adapter to give additional stability to imaging. 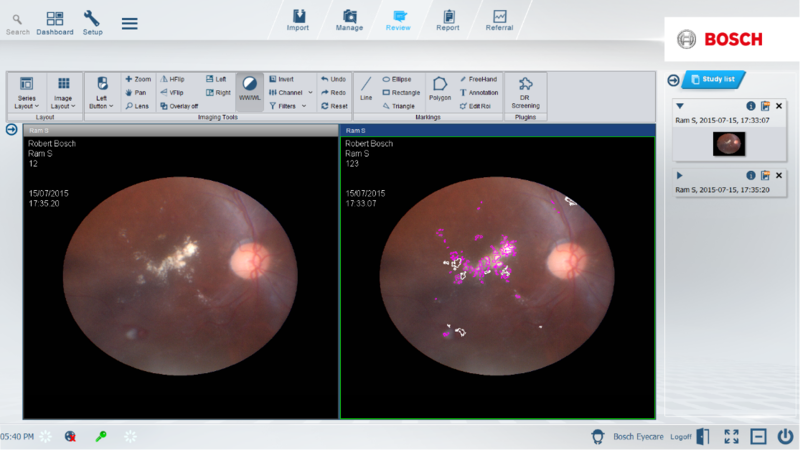 With the attachable anterior imaging module, the eyecare solution captures high resolution digital images of the anterior segment of the eye. This component is portable, allowing it to be used in field conditions outside the clinic and to examine bedridden patients. The cobalt blue LEDs in the module allows fluorescent imaging which helps in detecting dry eye and cuts or punctures on the surface of the eye, cornea, pupil, or sclera. 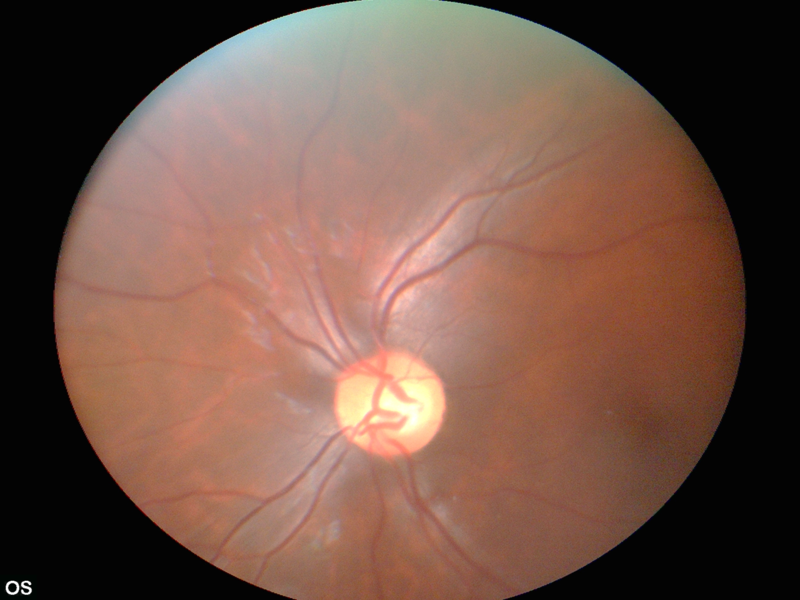 This light weight module also comes with a 6x zoom feature which helps magnify areas of interest within the image to view the finer details of anterior segment. The MediBilder web-based platform is a one of a kind industry benchmark software that allows practitioners to do in-depth analysis of the images taken. 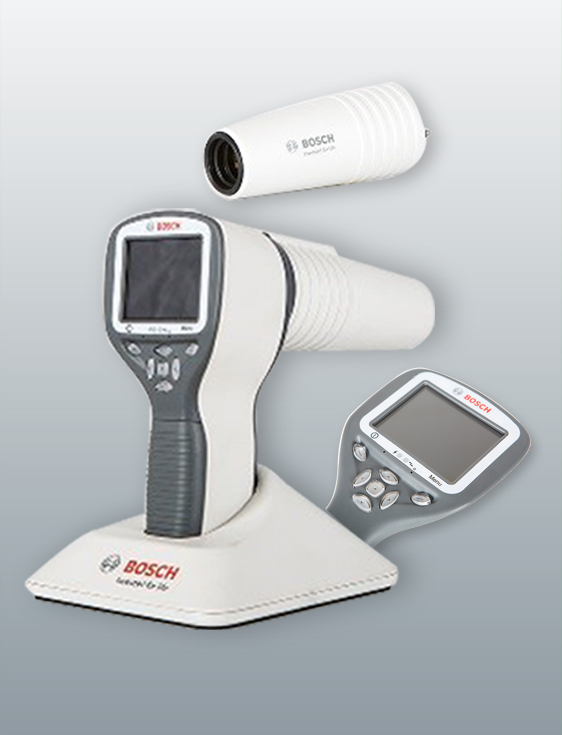 This software offers the ability to import images taken by the Bosch eyecare camera to a desktop or laptop. The medical practitioner can then perform multiple image analysis, use color filters, make annotations / markings and maintain digital medical records of the patients. This can also be used in combination with ImPACS (Picture Archival and Communication System) to either transfer the images to the hospital management system or to simply retain on the hard disk of practitioner’s laptop. Moreover, it is also DICOM compliant for picture archiving and communication system. Besides helping to create a reliable patient referral system, the Medibilder software also paves way to access the medical images anytime anywhere using smart gadgets like mobile phones or iPads. This cloud based DICOM compliant software thus ensures a seamless workflow for practitioners paving way for faster image analysis – anytime, anywhere. This is a revolutionary innovation from Bosch, which is envisioned to address the growing deficit between trained medical specialists and the ever growing patient base. The advanced image processing algorithm uses cutting edge protocols to integrate self-learning methodology into the algorithm. This will enable it to detect disease conditions based on specific and minimal inputs from doctors. It is also designed to detect and mark concern areas within the images that could be referred to a specialist doctor who could then do the detailed diagnosis.